If you have not yet, it may be a good time now to give some thought to your home security situation. There are many good reasons to become more aware of what type of protection you have installed at home, of course we are not out to scare anyone, however the risks existing out there today are increasing. We don’t mean to say that one must install complex security systems or encase ones house in iron in fear, we only mean to say that putting some extra persuasions in place can save a whole world of trouble down the line. Something as simple as ensuring that you have the right type of locks installed on your doors at home will help protect against the most common break in techniques used by burglars today. Something which Locksmith Twickenham can help you with an affordable price and in a quick convenient manner. Some of the lower standard locks which are installed on homes today are easily bypassed by the trained burglar, and it can be a matter of minutes from decision to a broken lock, which is why it’s important to make that small adjustment. Getting an anti snap, bump and pick lock installed is something what we can do for you, rapidly and easily. We stock a variety of high security locks to fit the majority of door types, and installation can be done as early as today. So don’t wait with something so important as your home security, get in touch with our expert today. Of course if you are searching to put some extra security features in as well, such as an alarm system this to is something that your knowledgeable and trained professional can assist with. Making sure you have the spare keys you need can indeed be a lifesaver should you land in that situation of losing your main set and there by the access to your home. It goes without saying that in our busy current lives we need to have access to our home sanctuary to rest, to recuperate and ready ourselves for the challenges of the coming day, week or even year. Keeping a spare set of keys for your home with a trusted friend, neighbour or family member is always a good way to keep yourself safe from being stuck outside. So ensure that you have your spare keys cut in time, preventing a disaster rather than being stuck in the middle of it. 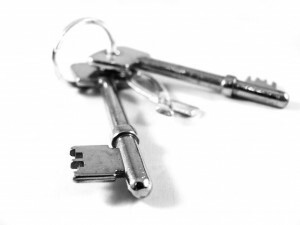 Your expert team are all well apt and highly trained in the art of key cutting, and in stock there are all the most commonly used types, meaning that your keys can be cut flawlessly and swiftly, at a time of your convenience. A small action which with great potential to save you a lot of trouble in the future. Keys which work every time, and of course for us quality is a prime factor, meaning that we never go for second rate quality when it comes to keys, locks and spare parts. 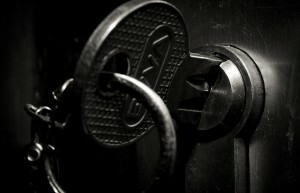 These are the building blocks of the security of your home and the smooth running of your life. If you think about how many times a day your keys are bashed around, how many times a day that lock is turned, we can imagine you will see the importance of good and lasting quality products. So if you are in the need of getting some spare’s cut, please feel free to get in touch with the lovely staff today. Here your favourite locksmith team works night and day to ensure that you have what you need, when you need it. Have you ever heard of a friend getting stuck outside in the cold due to missing keys? Next time it could be you, to ensure that there is no panic in an emergency situation, make sure you have the number for this trusted service stored somewhere available and accessible. Here we are always on call and ready to aid in times of your urgent emergency needs. Of course these are just a few of the services which you can find from a professional team of ours and to find out more about our services please don’t hesitate to get in touch at a time convenient to you. Do you have reason to believe that your business is facing security risks? Do you keep valuable stock for your start up on site whose financial value is essential to the running of your new start up? Is the electrical equipment insured for theft? 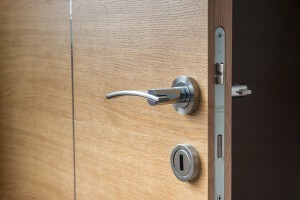 Your lock service provider understands that these are natural questions to occur to any business owner, and are hoping that all of you have the premises of your security up to date keeping away both financial and physical threats. If you feel that you don’t, or if there is something to your current security situation which causes worry, please don’t hesitate to get in touch with us today. With an experienced and recommended service and workers you will find everything you need from security inspections, to lock installations, lock system installations, alarm and monitoring systems and of course installation of other physical security features such as security bars, gates, roller shutters, safes and much more. Tailoring the solution for your individual needs is something that your lock experts have skill in, and something that they do with pleasure. Call today with your questions, quotes are always provided clearly and competitively, ensuring that you great value for money no matter what type of security budget you have set aside. Working with you to find intuitive solutions that fit seamlessly into your day to day running of things, and offering regular security checks and maintenance to aid with keeping your business security up to date with protection and defence against the latest threats.